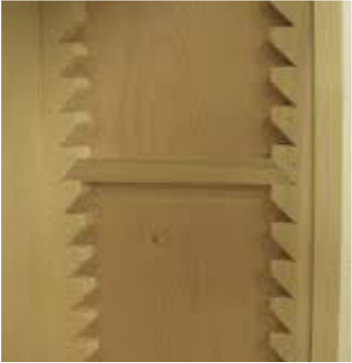 The sawtooth shelf support system has been used for hundreds of years, Made up of wood supports in each corner of a cabinet which hold adjustable cleats to rest the shelf on. 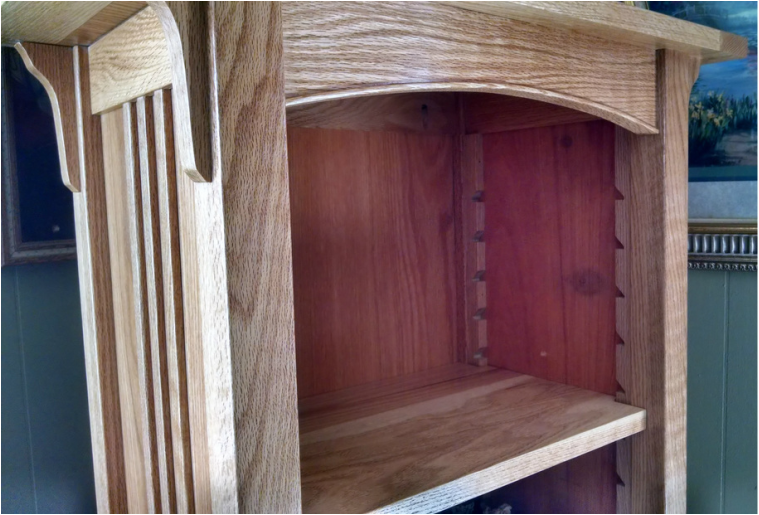 This is my preferred method for creating adjustable shelves, for me it adds a craftsmanship that other methods fall short on offering. The upright supports have a series of notches evenly spaced with the top of the notch cut at a forty five degree angle. 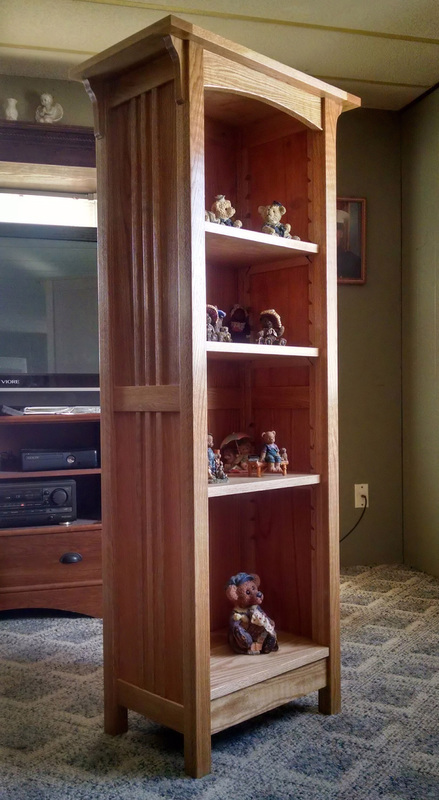 The cleats for the shelves have the same angle of cut at both ends and rest in the notches of the uprights, and are held in place by the weight of the shelf. 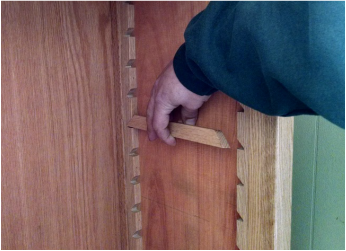 To cut the uprights I bundle all four of them together using tape, this is done to ensure that the notches will be square to each other from one side of the cabinet to the other when installed. 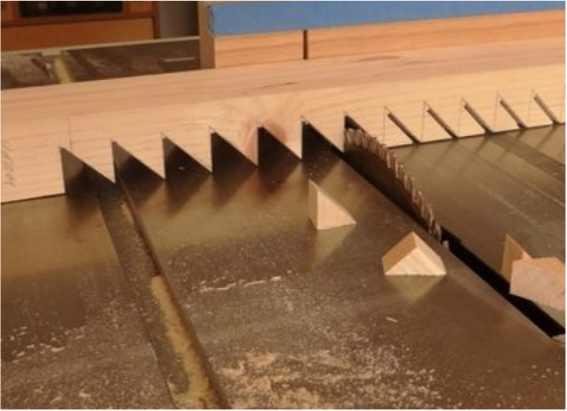 Then at the table saw with my miter gauge I make my forty five degree cuts, then reset my blade to ninety degrees and finish cutting the notches. 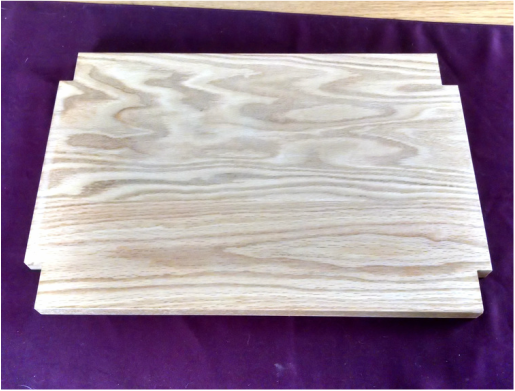 Some clean up is typically needed were the two cut lines meet, for this I use a good sharp chisel. 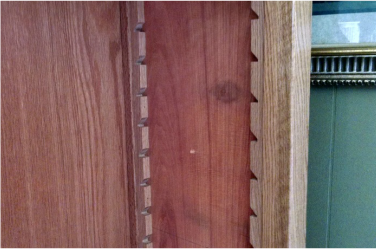 The cleat is then cut with the same forty five degree angle at both ends, The length of the cleat will vary with the size of the cabinet you are building, but should fit as shown here. 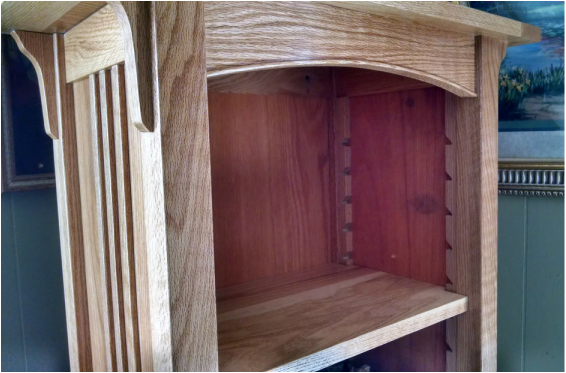 ​The shelf has the corners cut out as shown, allowing it to sit in between the uprights and rest on the cleats as shown below.